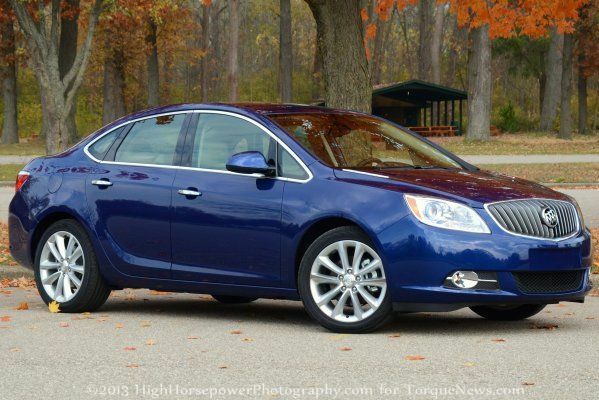 In an effort to both set itself apart from Cadillac while also taking a shot at some European competitors, General Motors may introduce a diesel engine to the Buick lineup in the next few years – most likely under the hood of the compact Verano or Encore. The introduction of a diesel powered Buick would not only grab some attention in the consumer market that has traditionally been reserved for the likes of the Volkswagen, Audi and Mercedes Benz. More importantly, it would bring greater levels of power and efficiency to a lineup that is very nice – but could certainly use more power to help it stand out from the competition from around the world. The sources haven’t gone into any detail as to which models would pack the new diesel engine but the new Encore compact crossover and the compact Verano sedan are the two vehicles that would make the most sense. The new Buick Encore compact crossover has made a splash in the segment with impressive levels of luxury with a low price but one critical point for the Encore has been the lack of available power. Also, the Encore is based on the European Opel Mokka, which is offered with a 1.7L diesel engine. That European diesel is a little light on power for the American market but adding a slightly larger diesel engine (similar to the 2.0L turbocharged mill offered in the new Chevy Cruze diesel) would add a touch more horsepower than the standard 1.4L turbocharged gasoline engine but more importantly, the Cruze diesel engine packs a tremendous amount more torque than the gas engine. Also, a diesel powered Encore could offer incredible fuel economy ratings that could near the 40 mile per gallon mark. The Chevy Cruze offers a whopping 46 miles per gallon on the highway with the 2.0L diesel engine so the compact Encore could very likely creep up on the 40mpg mark even with all wheel drive. Being able to say that they have a non-hybrid crossover that can offer 40 miles per gallon would most certainly grab some attention from both consumers and the media. The other possibility for the first diesel Buick would be the Verano compact sedan and realistically, the Verano is the most probable because the Chevrolet Cruze – which is based on the same platform as the Verano – is already available with a powerful and efficient diesel engine. So many other aspects of the Cruze and Verano are shared that it should be a fairly simple move to just begin installing the already available 2.0L diesel engine from the Cruze in the Verano. This possibility would increase tremendously if GM opted to shift production of the Verano from the Orion Township plant in Michigan to the Lordstown Assembly plant in Ohio, where the Chevy Cruze is currently built. If the Verano production was moved to Lordstown, the diesel engines would already be available in the plant so why not build a diesel Verano? I can’t think of any reasons. Of course, the reality of a diesel powered Buick Verano or Encore depends greatly on the success of the 2014 Chevrolet Cruze Diesel. If the diesel engine option proves to be popular in the Cruze, there is a much better chance that GM will look to use the diesel engine in more vehicles but if the Cruze Diesel flops, GM probably won’t bother introducing a closely related model with the same drivetrain – if they look to spread their diesel technology around at all. I think it will take a couple of years, but having driven the Cruze Diesel, I think it will do well. It's very nicely outfitted, gets phenomenal mileage, and debunks most of the initial impressions many Americans seem to have about diesel vehicles.